Under the federal Patient Protection and Affordable Care Act, private health plans must cover birth control methods that are approved by the Food and Drug Administration without charging out-of-pocket costs such as co-payments or deductibles. When contraceptives were added to the list of preventive-health services that had to be fully covered starting in August 2012, the change drew mixed reactions. Advocates praised the effort to make contraceptives more affordable and accessible for women while critics argued that it infringes on religious beliefs and could increase overall health-plan costs. The birth control mandate has prompted numerous lawsuits, including the Hobby Lobby case, which went before the Supreme Court in 2014 and resulted in the federal government allowing some businesses to claim religious objections and forgo birth-control coverage for employees. While the mandate continues to be controversial, several recent studies show there are financial benefits for women, some of whom struggled in previous years to afford contraceptives. A 2015 study that focused on women with private health insurance found that the proportion of women who paid nothing out of pocket for birth control pills rose from 15% in 2012 — before the federal requirement took effect — to 67% in 2014 — after it was implemented. The trends were similar for women using injectable contraception, the vaginal ring and the intrauterine device. A 2014 study by the New Jersey-based IMS Institute for Healthcare Informatics found that the Affordable Care Act saved women approximately $483 million in out-of-pocket spending for contraceptives in 2013. A July 2015 study published in Health Affairs, “Women Saw Large Decrease In Out-Of-Pocket Spending For Contraceptives After ACA Mandate Removed Cost Sharing,” takes another look at the policy’s impact on birth control expenses. The authors, Nora V. Becker and Daniel Polsky of the University of Pennsylvania’s Wharton School, used a sample of nationally-representative data from the claims database of a large national insurer to calculate monthly, out-of-pocket spending between January 2008 and June 2013 for eight types of contraception. Out-of-pocket spending declined for the two most commonly used, reversible forms of prescription birth control — the pill and the intrauterine device (IUD). The average, adjusted cost for a six-month pill prescription fell from $33.58 in June 2012 to $19.84 in June 2013. The out-of-pocket expense for an IUD fell from $293.28 to $145.24 over the same time period. A woman using the pill saved an average of $254.91 per year after the federal mandate took effect. There were large reductions in out-of-pocket spending for most of the other contraceptive methods investigated in this study. For example, the six-month, unadjusted average cost for emergency contraception was $26.16 between January and June 2012. It fell to $1.75 — a 93% reduction — between January and June 2013. Out-of-pocket spending for the contraceptive ring and patch, however, barely changed. The six-month, unadjusted average cost for the ring was $52.63 between January and June 2012 and was $51.53 between January and June 2013. Before the federal mandate, a large percentage of women’s healthcare costs went toward birth control. Out-of-pocket expenses for contraceptives for women using them had comprised 30% to 44% of these women’s total out-of-pocket health care expenses. 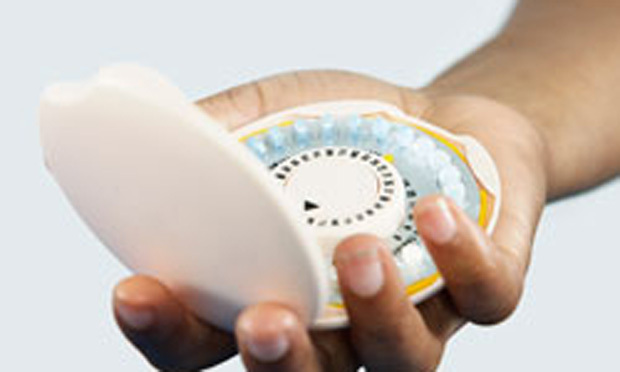 There are an estimated 6.88 million privately-insured users of birth control pills in the United States. Under the Affordable Care Act, these women save approximately $1.4 billion per year in out-of-pocket savings on birth control pills alone. This study indicates that while the Affordable Care Act likely will reduce out-of-pocket expenses for birth control in general, it is too early to predict whether more women will use birth control — a trend that the authors state could lower fertility rates and improve economic opportunities for women and their families. The authors suggest that it is possible that lowered costs might encourage more women to choose long-acting, reversible forms of birth control such as IUDs, which historically have been much more expensive. The authors also predict that the new federal guidelines for complying with the birth control mandate that were issued in May 2015 should benefit users of contraceptive rings and patches. “With this new clarification from the administration of President Barack Obama, we expect that the pattern of out-of-pocket expenses for the patch and the ring among the population we studied will soon resemble that of other methods,” the authors stated. Related research: A 2014 study published in the Journal of Policy Analysis and Management, “The Effects of Contraception on Female Poverty,” examines the relationship between legal access to birth control and poverty rates among women and households headed by single women. A 2013 working paper for the National Bureau of Economic Research explores the relationship between family planning and long-term economic outcomes such as labor force participation and family income. A 2012 study published in Obstetrics & Gynecology, “Preventing Unintended Pregnancies by Providing No-Cost Contraception,” analyzes the relationship between free access to birth control and abortion rates. Citation: Becker, Nora V.; Polsky; Daniel. “Women Saw Large Decrease In Out-Of-Pocket Spending For Contraceptives After ACA Mandate Removed Cost Sharing,” Health Affairs, July 2015, Vol. 34. doi: 10.1377/hlthaff.2015.0127.